While it still seems unlikely that Domino's DomiCopter will ever replace your average, adolescent pizza guy, it's still fun to contemplate the possibility. 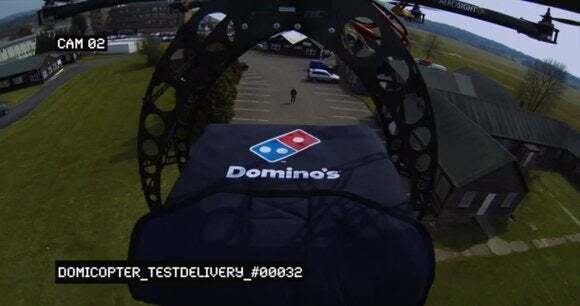 A remote-controlled delight, the DomiCopter is set to traverse the skies in an attempt to bring you whatever artery-clogging morsel you've ordered from Domino's. Domino's hasn't said anything as of yet in regards to coverage areas or when we can expect aerial pizza delivery, but, hey, at least there's a video to drool at as you ponder a future filled with airborne fast food.